Born: April 5, 1890 in Cataumet Ma. Died: July 10, 1980 in Bourne Ma. at 90 yrs. 1. 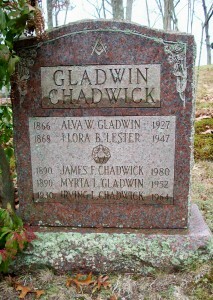 James Alva Chadwick, WW ll; (January 8, 1917 – May 18, 1972); Married Lyndall Loretta Jordan (1913 – 1994); James A. & L. Loretta are buried in Cataumet Cemetery. 2. 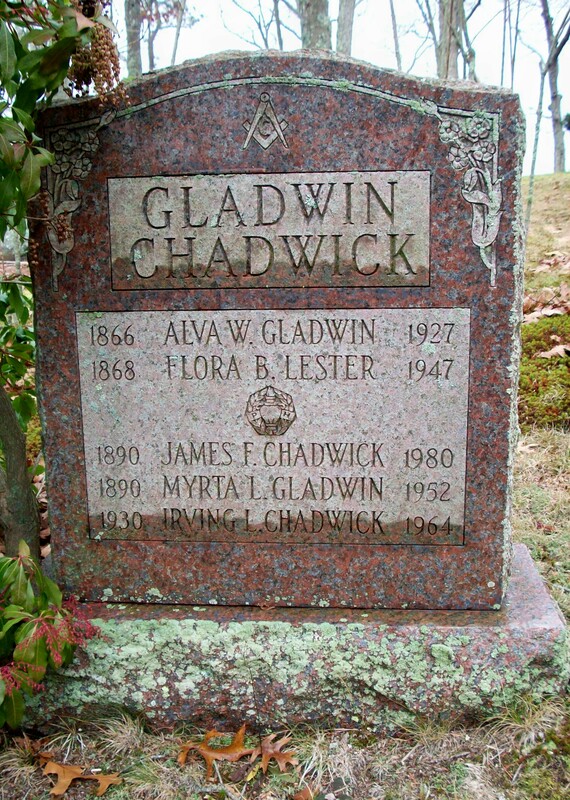 Irving Lester Chadwick; (November 14, 1930 – November 26, 1964); Irving died at 34 yrs, 12 d. & is buried in Cataumet Cemetery.